The spinels are any of a class of minerals of general formulation A2+B23+O42- which crystallise in the cubic (isometric) crystal system, with the oxide anions arranged in a cubic close-packed lattice and the cations A and B occupying some or all of the octahedral and tetrahedral sites in the lattice. A and B can be divalent, trivalent, or quadrivalent cations, including magnesium, zinc, iron, manganese, aluminium, chromium, titanium, and silicon. Although the anion is normally oxide, structures are also known for the rest of the chalcogenides. A and B can also be the same metal under different charges, such as the case in Fe3O4 (as Fe2+Fe23+O42-). Spinel are commonly found in the same deposites where sapphires are found and before modern gemology were thought to be sapphires or rubies. Spinels were chosen by many of the Royal families over sapphires and rubies due to their brilliance and vivid colors. Many of the crown jewels on displayed in museums around the world have spinels that were once tought to be sapphire and ruby. 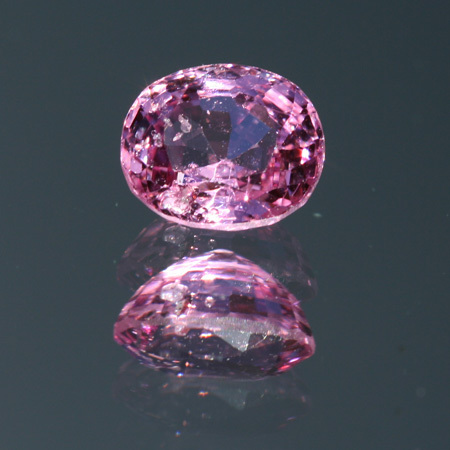 Many jewelers think of spinel as the perfect jewelry gemstone due to their durability hardness and variety of colors. Spinel is a highly prized jewel in most societies. Spinel is rare and comes in so many colors and shades of colors that it is difficult to market in main stream retail jewelry stores. For someone looking for a unique highly durable gemstone, that few are lucky enough, to own spinel is a great option. Spinel is 100% natural with no known treatments to enhance thier color or clarity. Another good reason to choose spinel over sapphire or ruby is they are much more affordable and in fine qualities give the same look as sapphire or ruby. All of our spinels are natural gemstones. CLEARANCE!! !